For more info and photos, click the headline of the story. 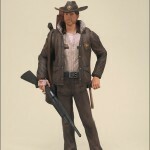 McFarlane Toys is excited to raise the dead and introduce a new line of figures inspired by the hit comic book series,The Walking Dead, which was adapted into a highly acclaimed AMC television series last October.The Walking Dead comic book series tells the story of the months and years that come after a zombie apocalypse. It follows a group of survivors, led by Officer Rick Grimes, who travel in search of a safe and secure home. 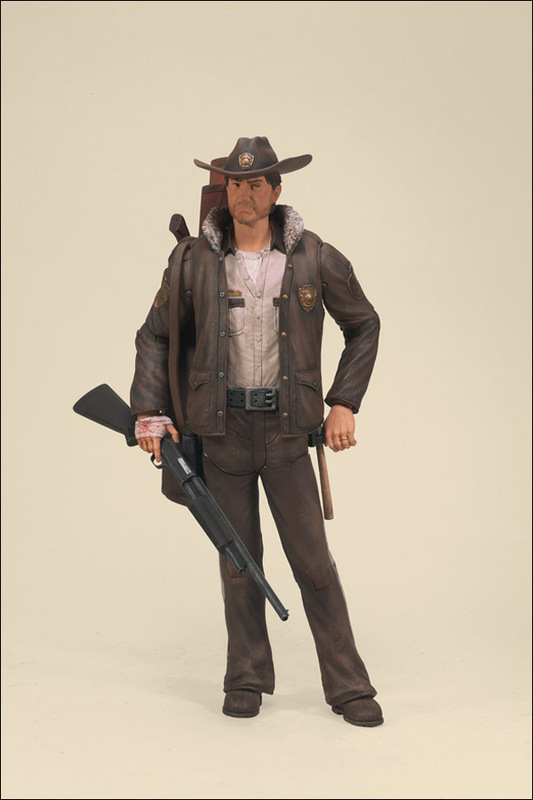 The Walking Dead Comic Series 1 figure lineup includes some of the most iconic characters from the book, along with some amazingly realistic, yet dead, zombie counterparts. Now let’s turn off the lights and hide under the blanket with a flashlight, while we take a closer look at this flesh-devouring lineup. A small-town police officer shot in the line of duty, Rick Grimes awoke from a coma to find the world overrun by zombies. Searching for his wife and son, Rick found his missing family seeking refuge in a camp of survivors on the outskirts of Atlanta. His police background and natural leadership qualities earned him the respect of his fellow survivors, who soon looked to him as their new leader. Not long after moving into the fortress-like prison, Rick and his group of survivors were approached by a mysterious visitor from the zombie wasteland. With sword in hand, and two leashed zombies in tow, Michonne came to the prison seeking safety and shelter. Little did she know — it would lead to her greatest enemy. 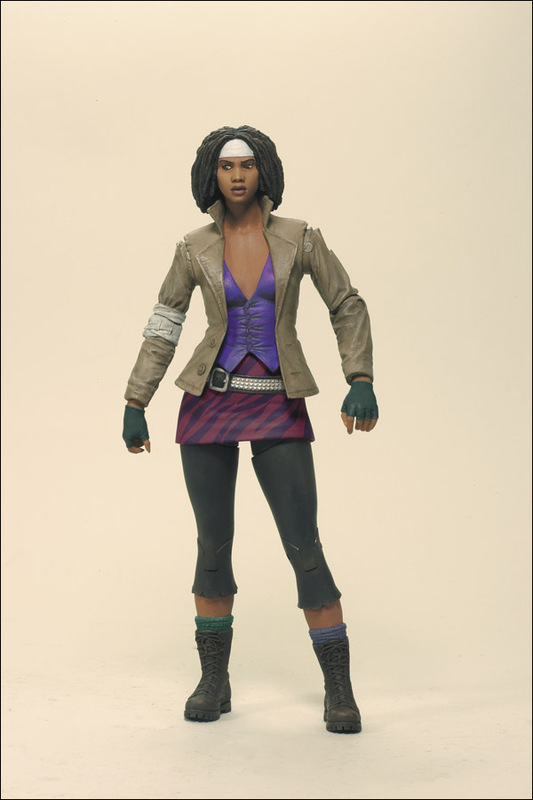 Michonne survived the horrors of Woodbury, and her fearlessness and weapon proficiency quickly earned her a place as a trusted defender of the group. To Rick’s group of survivors, there are two types of zombies. “Roamers” are the ones that actively wander around, while “Lurkers” remain still until disturbed by a living creature. 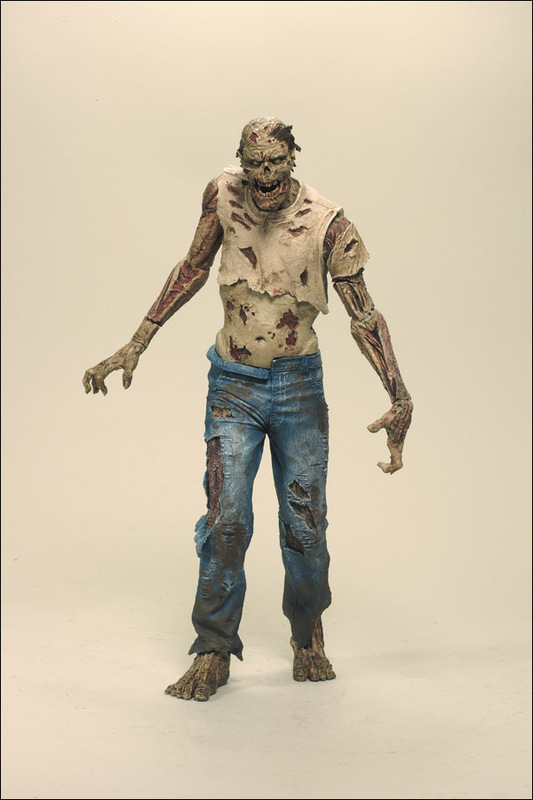 Like a Lurker, this figure comes with a gory surprise, just waiting for a human to get too close “” this zombie really has a problem keeping it together! 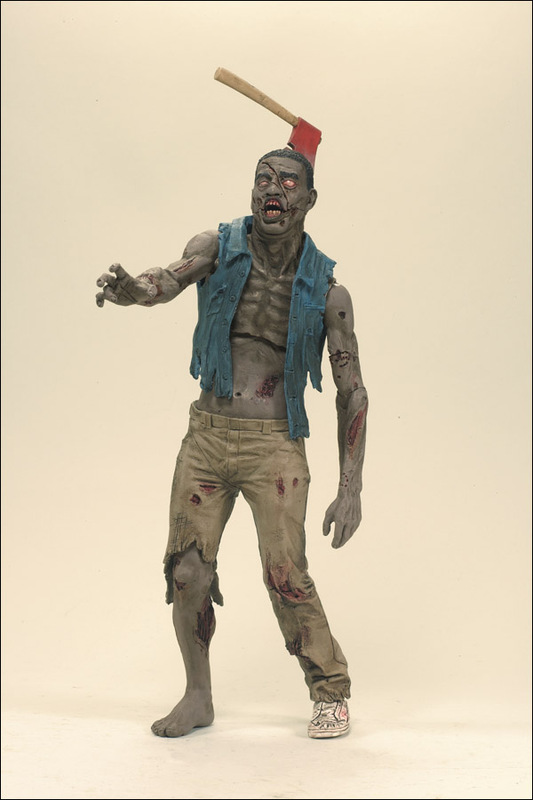 The only sure way to stop a zombie in The Walking Dead is to destroy its brain “” and this figure illustrates that important fact in gruesome detail with exploding brain play action sure to both disgust and amaze!